Though it’s more often mocked than admired, this made-for-TV movie was a stepping stone in the careers of quite a few people, especially John Travolta. 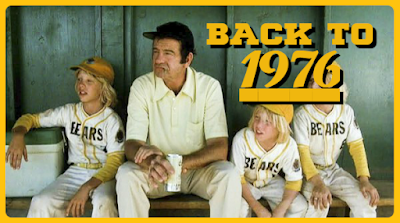 Just as the seventies were the heyday of flawed heroes and films that tackle complicated subjects without any clear answers, it was also the era of the made-for-TV movie. First, imagine the most melodramatic and over-wrought premise you can think of: maybe it’s about a love affair gone wrong, or the seductive danger of drugs. Now hire some TV actors who are either fading stars or ascending talents, but aren’t quite A-list celebrities. Finally, shoot the movie with soft filters and drench the soundtrack in weepy strings that sound like they belong in a soap opera. Voila! If your movie airs in the evening during prime time, it’s the movie of the week. If it airs in the afternoon and features young people, it’s an after school special. The broadcast network NBC invented the movie of the week, but ABC turned it into an art form. Many of the syrupy entries in the format are best forgotten, but occasionally featured talent—both in front of and behind the camera—that would one day go on to do great things. Steven Spielberg’s debut, Duel, was a movie of the week. So was Summer of Fear, which starred Linda Blair and was directed by Wes Craven. And then we have The Boy in the Plastic Bubble. 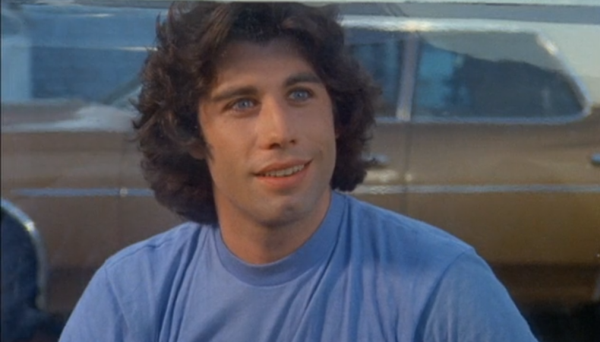 John Travolta stars as Tod, a sixteen year-old kid who was born without an immune system. The doctors tell his parents that he could (and probably will) drop dead if he’s exposed to germs of any kind, so he spends his entire life inside an elaborate plastic habitat that keeps him safe, but also keeps the real world far away. His parents are played Robert Reed, who was one of the most trusted dads ever as Mike Brady on The Brady Bunch, and Diana Hyland, a regular on TV’s Peyton Place. Glynnis O’Connor (Ode to Billy Joe, Johnny Dangerously) is Gina, the cute girl next door who has only seen Tod at his annual birthday party. As Tod decides that he’s tired of living his life inside of a plastic prison, he begins to form connections with the outside world, emboldened by his feelings for Gina, who is starting to see him as someone special, too. But what kind of love can they have when he’s trapped inside a plastic bubble? See? Melodrama, milked for all it’s worth. Here’s the thing, though: I really like The Boy in the Plastic Bubble. It seems like internet movie community suicide to admit such a thing, but it’s true. I recognize that the plot is saccharine and tedious, but there’s so much charm running through this thing that I can’t help but consider myself a fan. John Travolta, especially when he was younger, was a charming dude, and he keeps this from being a parody of what it could have been. Though this isn’t quite a one man show, there is nevertheless a lot of heavy lifting placed on Travolta’s shoulders, and he carries the film with a confidence and a charisma of someone much more experienced than he actually was. This is a weird movie. I mean, it’s about a boy living inside a plastic habitat, so…yeah…but it just goes to some really strange places. Like the scene where Tod attends a party on the beach inside a plastic cube and watches everyone else have fun. Or the scene where he has Gina jump over his cube on her horse. Or when he has a TV and a camera set up inside the high school so he can “attend” classes like everyone else and he tries to make his classmates laugh by putting on a funny disguise. But for such an odd, predictable story, it often surprises the audience by taking us to places we don’t expect to go. Small TV movies like this have no budget for spectacle, so they put a lot of the pressure on the actors themselves to carry the story, hoping that the performers have what it takes to hold our attention. Whatever that quality is that makes people riveting to watch, Travolta had it. In fact, he had it so much that it makes me wonder how in the world he could ever have lost it. With his blue eyes, dark hair, and dimpled chin, he looks like he’s from a completely different planet. What planet is that? I don’t know, the planet of the pretty dimpled people, maybe? He’s playing younger than he actually was at the time (in his early twenties playing sixteen), but it works. He seems naïve enough to be sympathetic, but he’s also got a darkness that fans of his work will recognize from some of his later action movie work (I won’t mention Swordfish…whoops). Travolta had been cutting his teeth on the hit show Welcome Back, Kotter and was already turning into a star as Vinnie Barbarino. By the time this movie hit TV screens, he’d even made the cover of Tiger Beat, which, as you know, was the most important periodical of the entire 1970s. His star seems to have ascended very quickly, and The Boy in the Plastic Bubble was a very important project for his career. I even suspect that it was the movie that finally launched Travolta to superstardom. This film was a critical hit and also drew huge ratings when it aired, and it was watched by a huge chunk of America. It’s one of the most famous TV movies of all time. I’m also a fan of this movie because it represents a transition in the careers of a lot of people. Consider this little nugget: this movie also co-stars P.J. Soles, who would give a memorable performance a few years later in John Carpenter’s Halloween. However, both John Travolta and P.J. Soles can also be seen together in Brian De Palma’s big-screen adaptation of Carrie, which opened in theaters on November 3, 1976. Just days later, The Boy in the Plastic Bubble aired on television on Sunday, November 12, 1976. 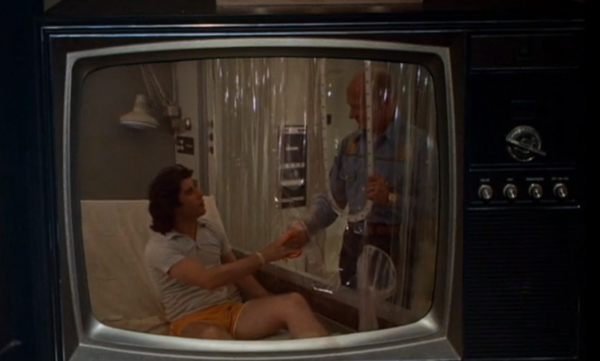 If you caught the brand new episode of Welcome Back, Kotter that was shown on Saturday, the 11th, you saw more of Travolta in one stretch of time than is safely recommended by four out of five doctors. Within a year of appearing in The Boy in the Plastic Bubble, Travolta would star in Saturday Night Fever, earn an Oscar nomination, and become a major player in Hollywood. The fact that this schmaltzy movie of the week credit will forever be wedged between Carrie and Saturday Night Fever on Travolta’s resume will never be anything short of fascinating to me. The Boy in the Plastic Bubble also features appearances from Ralph Bellamy (His Girl Friday, Trading Places), Kelly Ward (Putzie from Grease), the astronaut Buzz Aldrin, and FREAKING ANNE RAMSEY from The Goonies and Throw Momma from the Train, whose appearance in this movie is more impressive to me than the guy who literally walked on the moon. There’s even a Paul Williams ballad that closes the movie because the filmmakers seemed to recognize that the movie just wasn’t quite seventies enough. The screenplay for this movie was written by Douglas Day Stewart, who also wrote An Officer and A Gentleman and The Blue Lagoon and 1995’s The Scarlet Letter. This is what I mean when I say that this movie was a stepping stone in the careers of a lot of talented people. This even applies to the director, Randal Kleiser. At the time of this film, Kleiser had only done shorts, TV movies, and episodic television. When Travolta was cast as the lead in 1978’s Grease, he remembered the good times he’d had working on this movie and ASKED the producers to hire Randal Kleiser, making Grease; the director’s first feature film. The rest is movie history. Kleiser would go on to direct Grandview, U.S.A., Big Top Pee-wee, and an under-seen Disney movie that I really love, Flight of the Navigator. The Boy in the Plastic Bubble somehow sits in the middle of all of this, a common thread for all these actors, the screenwriter, and the director. More often than not, when I hear people talk about The Boy in the Plastic Bubble, it’s usually mocking the movie or poking fun at it. I get that this flick is an easy target, but I also wonder how many people have actually watched it. It’s an earnest little movie that wears its heart on its sleeve, and in these cynical days that drip with irony and insincerity, it can be hard to watch this movie on its level. It’s easy to judge The Boy in the Plastic Bubble as being out of touch and a product of a more naïve time, but that’s not really true. This movie knows exactly what it is, and if you can let your guard down, I think there are some rewards to be found. The story is sweet and uplifting and it’s fun to see some actors we know from other work, but the real reason to watch this movie is Travolta; he carries the entire film on his shoulders, and was entering the peak of his powers. If nothing else, this movie is a welcome reminder of John Travolta the movie star. 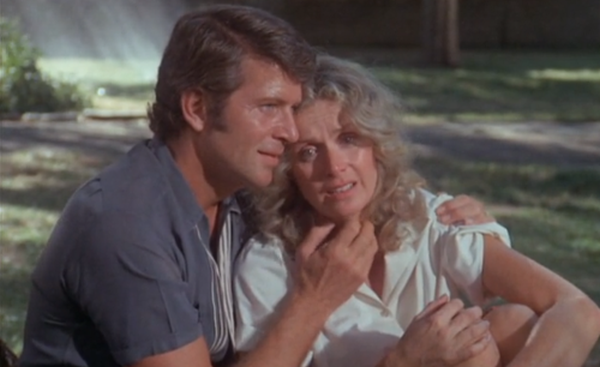 A sad postscript regarding this TV movie is that although Diana Hyland won an Emmy for her performance in this in 1977, the award was given posthumously, because she was diagnosed with cancer early in 1977 and died March 27 of the same year, at age 41. At the time, she was in a serious romantic relationship with John Travolta, who she met making this TV movie. And she had been cast as the original mom on the TV series "Eight is Enough", having already filmed the first four episodes. Hyland's death was written into that series, with a new stepmother to be worked in, played by Betty Buckley (also of "Carrie").